This year has been great for Usher as he has dominated yet another summer. Beginning in the winter, he gave the world "Daddy's Home," and he continued well into the spring. "Lil' Freak" ushered in the warm weather and he slowed things down with "There Goes My Baby." While all of those songs were hits, the summer was not defined until the release of "OMG." Usher posted yet another number one single and solidified himself as the king. Even months after its initial release, the song still receives significant radio play. Now, Usher has decided to capitalize off his success. Usher has arranged for an "OMG Tour." Of course, the tour is named after his chart-topping hit. But, Usher said he wants the people to literally think "Oh, my God" after seeing him perform. In many ways, Usher is being compared to the new Michael Jackson. Ever since his untimely death last summer, people have been looking for an artist to fill that void. 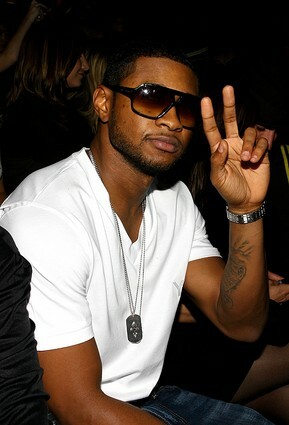 Growing up, Usher was a big fan of Michael Jackson's and he inspired his career. Usher hopes to make similar achievements to what Jackson did. However, he will not push himself the way Michael Jackson did because that is one reason he died. Right now, Usher considers himself to be relatively young, but when he gets older, Usher said he will not be touring. Later in his career, Usher still wants to put out music, but he will not be going on tour following the releases.